Next up in the seemingly never ending series of Big Ten previews, the Indiana Hoosiers. Indiana was absolutely terrible last year, so bad that they didn’t even fall on most efficiency charts. 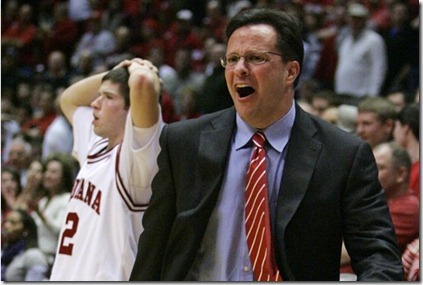 Tom Crean is no newcomer to coaching though, and improvement seems likely in Bloomington. Alex from Inside the Hall, one of the best team specific hoops blogs on the internet, agreed to answer some questions about this year’s Hoosier team. You can also find a series of player profiles over at Inside the Hall. Last year was beyond awful (losing 21 of last 22) in Bloomington but as a Michigan fan we are familiar with how fast a turnaround can happen. What are the expectations for the Hoosiers this year? I assume they will be better but by how much? Expectations are still fairly modest because it’s year two of a substantial rebuilding process. I’m not quite sure anyone understood how bad last season was going to be until it was said and done, but it was one of the low points, in terms of wins and losses, in Indiana history. Tom Crean has seven new faces that he’ll piece together with a couple of key returnees and the Hoosiers should finish out close games that were losses a season ago. Kyle Taber was the only graduating senior, was there any other attrition of note? There were two transfers that most are viewing as addition by subtraction. Nick Williams (8.9ppg) moved on to Mississippi and Malik Story (5.9 ppg) is now at Nevada. While both logged significant minutes as freshmen, neither guy figured to see as much time with the recruiting class that has arrived. It also helped answer a few questions about the scholarship situation, which is still a bit of a logjam. Last year’s team was also the second youngest in the country. I assume a number of players will take a big step up — who are two that are expected to make a big jump in production? Verdell Jones established himself as Indiana’s best player down the stretch (14.5 ppg over the final 11 games) and will find himself playing off the ball with the arrival of Jeremiah Rivers from Georgetown. Jones’ scoring numbers may not rise astronomically because he’ll have more talent surrounding him, but he will be much stronger and more effective than he was as a freshman. It’s hard to forecast the progress of the other returnees simply because it’s too early to tell where all of the newcomers will fit in. How about the freshmen class? I believe it was top 10 on most sites, who are the instant impact players? Given the circumstances, Indiana’s recruiting class is arguably the most impressive in the country. It’s a consensus top ten class and all six players committed before Crean coached a game at IU. Throw in the Rivers transfer and there are a lot of pieces to work with. Maurice Creek is the most polished of the six freshmen and will provide a consistent perimeter threat that IU lacked last year. 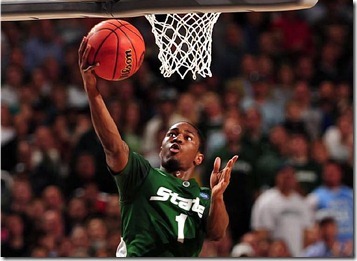 His game reminds me a lot of Purdue’s E’Twaun Moore. 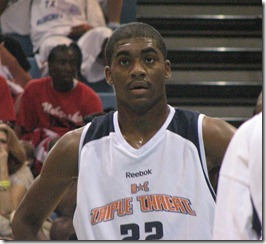 Christian Watford, a 6-8 wing, was the biggest name nationally in the class. Crean is working him out with the guards, the wings and the big men because he’ll be expected to contribute both on the perimeter and on the block. Jordan Hulls, Indiana’s Mr. Basketball, is a heady point guard that is excellent at utilizing the pick and roll. 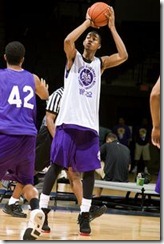 And Derek Elston, a 6-8 forward from Tipton (IN), has a Big Ten ready body with a knack for rebounding the ball. To start the season, I’ll go Rivers, Devan Dumes, Jones, Watford and Tom Pritchard. Once he gets acclimated, Creek will be in there and I wouldn’t be surprised to see Elston or Hulls get some starts as well. Any non-conference games of note? It’s a mix of really good games and really bad games. There’s a tough three game stretch in December – Maryland at home, Pittsburgh at MSG and Kentucky at home – that should be a good measuring stick. There’s also the O’Reilly Auto Parts Tip-Off in Puerto Rico where IU will start with Mississippi and could play Kansas State, Dayton, Villanova or Georgia Tech as well. And then there are six “scheduled” home wins: Howard, USC Upstate, Northwestern State, North Carolina Central, Loyola (MD) and Bryant University. Which is probably not the worst idea for a young team. Kalin Lucas. And it doesn’t really seem that close. To me, he’s a primary reason Michigan State went to the title game last season. He can fill it up if needed and can also control the game with his speed and ball handling. He’s one of the most entertaining guys to watch not only in the Big Ten, but anywhere. First and second runner-ups: Manny Harris and Evan Turner. Predicted record (non-conference & conference)? 14-16 (6-12). This might be a bit optimistic, but it’s not out of the question. Winning on the road will be a problem in conference, but Assembly Hall will be a much tougher place to win this year than it was last year. Rivers will be the key to Indiana’s success. He’s got Final Four and Big East championship experience from his days at Georgetown and he’s a lock-down defender. 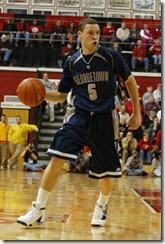 He’s reportedly made huge strides offensively, where he struggled to gain traction at Georgetown. Point guard play is key to building a winner and Rivers should make a big impact.